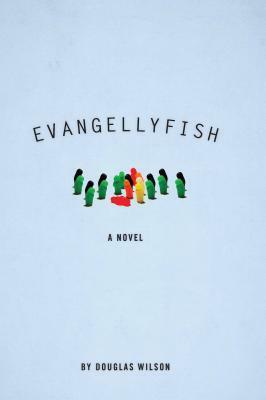 Last month I read Douglas Wilson’s novel Evangellyfish (Canon Press, 2012), which was the Christianity Today 2012 book of the year in the fiction category. 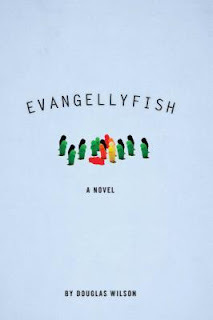 I can’t say I loved the book, but there were some interesting parts. One of the minor characters is a mega-church youth minister named Johnny Quinn who leads the “WildLife 4 Youth Rampage” ministry at Wilson’s fictional “Camel Creek” church. He had short, blond hair and a diamond-stud earring—big enough to give him street cred, so necessary in youth work these days, and yet the earring was small enough to not worry the small handful of people at Camel Creek who might possibly have a problem with it. At one point in the church’s history, there might have been a handful of people disturbed by this kind of thing in the church, but they had all died and gone to heaven quite a number of years before. Frankly, none of those people cared about it now, apparently having better things to think about. But Johnny still agonized over such things—what size earring would the apostle Paul have worn if his mission had been to the skateboarding and pants-droopy youth of today? Not an easy question to answer (p. 92).